I’m taking a brief intermission from my “Angels, Miracles and Dogs” blog to welcome you to the ASMSG Electorate Blog Hop and RAFFLECOPTER GIVEAWAY! ASMSG is a dynamic group of authors from all genres who have come together to help get the word out about their books: new releases, bestsellers, books in a series and individual gems – they’re all here! Over the next few weeks, a selection of authors are swapping interviews in their blogs and I’m very happy to be part of this team of dedicated writers. Check out the dates and blogs at the end of this interview. You wouldn’t want to miss any of the insights shared by these fascinating writers. Please take a moment to share and tweet and comment and whatever else you are inclined to do to pass along the news of this unique Blog Hop! Plus – don’t forget to enter the RAFFLECOPTER with free e-books available to the lucky winner! Lot’s of great books are in the prize package! First off, I have to say that Dianne is one of the few people I’ve met online that I consider to be a friend. We initially virtually “met” through the Goodreads Boomer Lit Group and then I began to notice that everywhere I went online, there was Dianne! Active in all areas of social media, a frequent contributor to the Huffington Post and a prolific blogger – all the while continuing to turn out novel after novel – I HAD to meet this woman! And I’m so very glad I did. She’s a delight! Dianne’s personal and professional background includes a wide range of experience, which gives her a great deal to draw from as she formulates her stories and characters. She owned a national antique and art appraisal business for many years, leaving that industry and opening two yoga centers, where she taught yoga and certified yoga instructors. 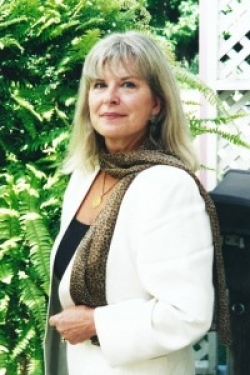 Dianne has traveled extensively throughout the world, most recently dividing her time between Huntington Beach and Sacramento, California, with her husband, a former Senator. MR: Dianne, you’ve had such a diverse professional background, how did you end up being a writer? DH: It’s something I’d always wanted to do, but I never thought I had the necessary “credentials” to do it. Someone gave me a copy of Stephen King’s book, On Writing, and he more or less says, Just Do It, and I did! MR: At what point did you go from writing to thinking of yourself as an author? And was this a significant transition for you? DH: It was probably after I’d published two books. I realized that writing had become extremely important to me. You know the old question, “What do you want to do when you grow up?” Well, one day I decided that’s what I wanted to do! 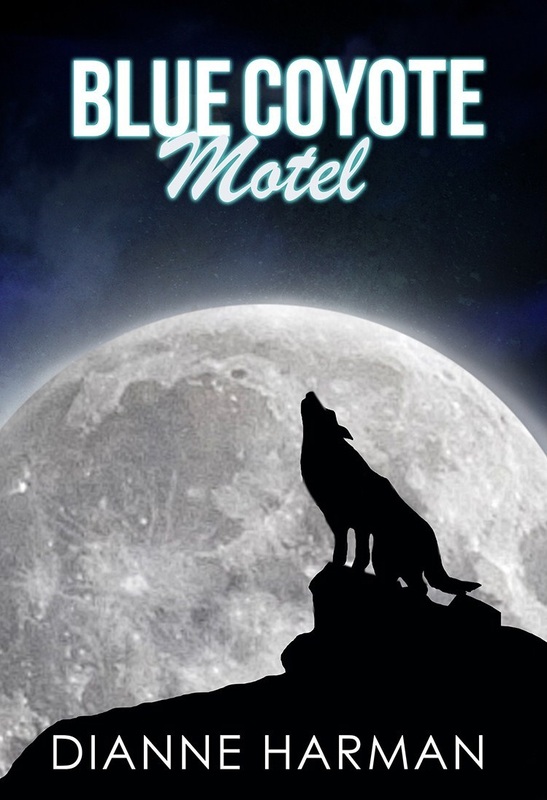 MR: The first book I read of yours, was your first, I believe: Blue Coyote Motel. Where did you get the idea for the feel-good-anti-aging formula, coupled with travelers who found themselves in such a dilemma in a motel in the middle of nowhere? DH: It was a very strange thing. My husband and I were guests at a boutique motel in Palm Springs, California, for a wedding. Our son was the best man. The bride was the daughter of an international children’s surgeon and guests had come from all over the world. It was in October and 106 degrees out. We welcomed the air-conditioning. I remember turning to my husband and saying, “Wouldn’t it be interesting if someone put a ‘feel-good’ drug in the air-conditioning and everyone felt good all the time?” I started writing the book on my iPad that afternoon. That night I sat next to a priest who wore a huge cross. He went in the book. At the wedding dinner, I was seated next to a couple who had gold mines in Brazil. They went in the book. And I kept meeting the rest of the characters! MR: Great story, and it does make it seem like it was “meant” to happen! 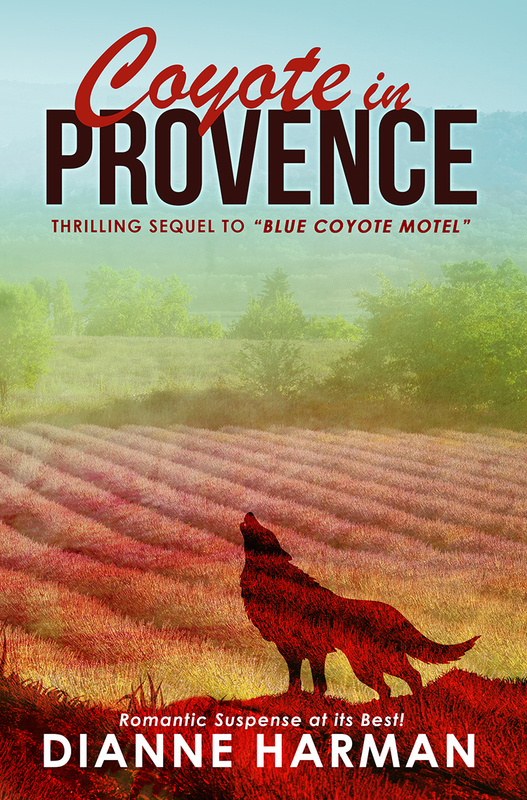 Continuing with the Coyote Series, I’m a big fan of Coyote in Provence. MR: You captured the beauty of that area of France while giving the reader an extremely enjoyable mystery. I was particularly fascinated by how you brought us into the world of fine art, especially since you owned an art appraisal business for years. How much of your past experiences have you interwoven into your books? DH: I own the Alfred Mitchell painting that’s in the book and I’ve spent time in Provence in the small village. So certainly, some of my experiences – like how the wine is put in jugs (fascinated me) – are in there, but it is a work of fiction. And I love to cook so food is a big part of that book. MR: Oh, I love knowing that you actually have that Alfred Mitchell painting! Lovely piece of trivia! 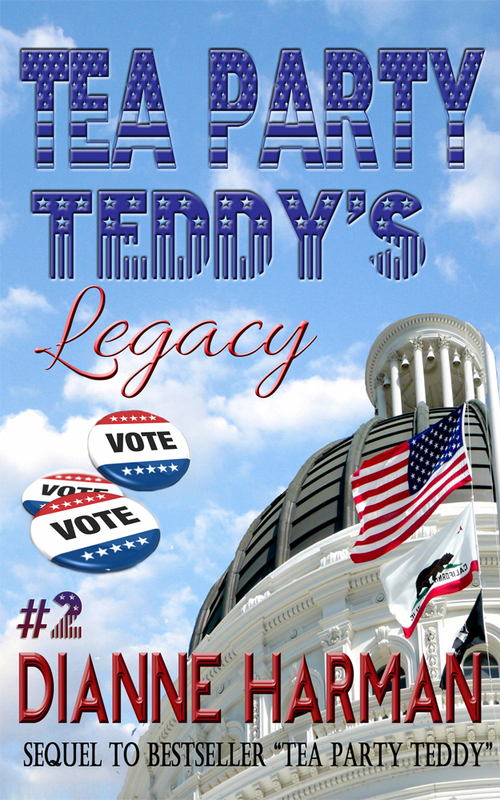 Speaking of writing about what you’ve experienced personally, I recall that your first political novel, Tea Party Teddy, stirred up a bit of controversy, especially in California. Could you tell us a little about that? DH: I knew when I wrote it was going to be controversial and it was. I got a couple of bad reviews from “staffers” in Sacramento who worked for people similar to the ones portrayed in the book. While it is a work of fiction, almost everything that took place has happened or is happening (currently one Senator has been indicted and another one just found guilty – and I’m talking about the last couple of weeks). MR: What impact did all of the hullabaloo have on your second “Teddy” book? DH: There are some very fine, honorable, honest politicians. I wanted to portray that side of politics as well. MR: You’ve published four novels so far and in the process have created dozens of characters. Who is your favorite and why? DH: My favorite character is a private investigator, Slade Kelly, and judging from the comments I receive, I’m not the only one who has fallen in love with the incorrigible investigator. I probably like him so much because he is just so very human, not unlike each of us! MR: What has been the most rewarding experience to come out of your writing? DH: It happened last week. We were at a reception and several people had read my books and commented favorably on them. The man the reception was being given for introduced me as the “distinguished writer of best sellers!” Wow! MR: In the process of writing and publishing your books, what’s the smartest thing you did? DH: Hire someone to do the art work and the formatting. MR: And what mistake did you make along the way that you would advise any writer to avoid at all costs? DH: Thinking I could format a book! MR: You often blog about the entire process of publishing a book, from writing to marketing and obviously keep up to date on the indie-pub world. How do you feel about where things currently stand for independent authors? DH: I think this is just the beginning. Our children and grandchildren have grown up with tablets and twitter. Everything is electronic for these generations. I see eBooks continue to rise. My granddaughter comes over and wants to know what books I have on my iPad for her. She’s never asked what books I have in the bookcases! MR: Where do you see the industry going? And perhaps I should also ask, where would you like to see it go? DH: There will always be people who like the feel of a print book between their hands. My son and daughter-in-law are voracious readers, but they prefer print to eBooks. There’s room for both. So saying, I sell 8 to 10 times more eBooks than print, so I do think that’s the future of the industry. I haven’t talked about genres, and yes, we did meet on a Boomer group, there’s not that many of them. I have maintained for some time that the boomer lit genre is ripe for the picking. There are 75 to 78 million boomers in the US alone and from what I’ve researched, very little literature that deals with that group. One day a couple of years ago I was searching on the internet for books for boomers. A handful. That’s still on my bucket list – to write books in that genre. I have one that needs some editing, but after my next book is published, the third in the Coyote series, I intend to polish the boomer book and publish it! MR: Is writing your career path from here on out? Do you see yourself always being an author? DH: Thanks so much for having me. And for those of you who have not read Marsha’s wonderful book, Confessions of an Instinctively Mutinous Baby Boomer and her Parable of the Tomato Plant, order it now! MR: How typically kind of you, Dianne. It has been a delightful experience to get to know you a little better and to share you and your books with the readers here. Thank you so much for joining us on our ASMSG Author Blog Hop! We hope you enjoy each and every one of the interviews. And I, your favorite Mutinous Boomer, WILL be blogging soon about Angels, Miracles and (of course!) Dogs! Because there’s a good reason that DOG is GOD spelled backwards! Categories Author Interviews - ASMSG! ← There’s a Reason that Dog is God Spelled Backwards! Love your books too, Marsha and Dianne, and a fun interview it is, well done! Thanks so much Claude. It was great fun interviewing Dianne!